SIGEP 2019 has just finished where Lainox had the opportunity to present all the new products from the 2019 catalogue. 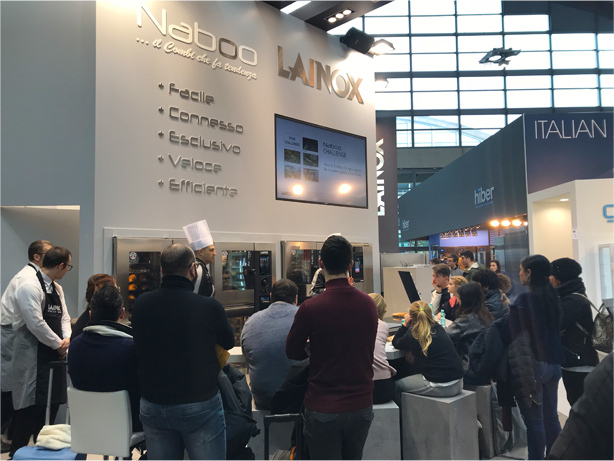 The Lainox stand was literally taken by storm by thousands of pastry chefs and sector-based operators who wanted to learn about, test, and try out the latest Lainox products. The product that attracted the most attention, without a shadow of a doubt, was ORACLE. Lainox has been a staunch ally of chefs for forty years. It has carved out its own niche in history by designing and producing professional catering equipment with innovative and avant-garde solutions. 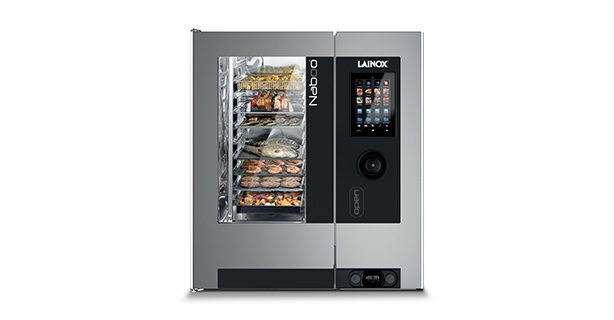 As a technology leader in this market, Lainox has always been one step ahead of the curve, anticipating the needs of professional chefs with futuristic and functional cooking devices, such as the first oven connected to the Cloud, launched as early as 2013. 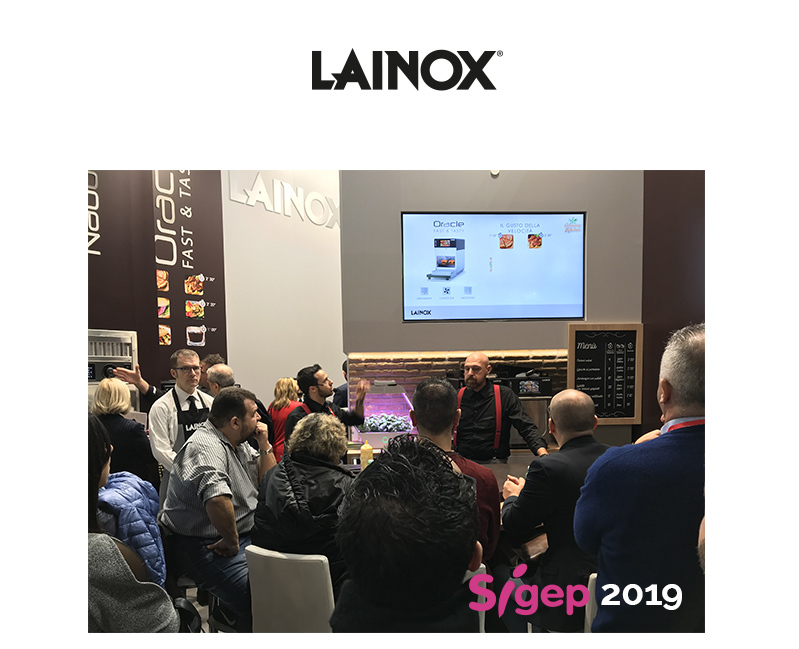 The restaurant world is constantly evolving and to meet the latest market demands, Lainox presented a range of ad hoc solutions at SIGEP, as a result of our careful observations of the changing format of catering. Lainox groups customers into two large categories: the fresh taste, i.e. those who like starting with fresh ingredients, working, and serving them directly and the commissary kitchens, i.e. those who are unable to set up a proper kitchen, but still want to serve their customers high-quality dishes. Naboo is the ideal solution for the fresh taste customer: a sophisticated device for cooking in less than a square metre, making it possible to grill, fry, crisp, boil, roast and much more. Just one machine with which to prepare an entire menu. The advantages of this type of application are enormous: from energy saving, less weight loss in products due to cooking, compact spaces for the kitchen layout, extreme ease of use, and last but not least, quality that can be replicated time and time again. For commissary kitchen customers, Lainox has once again channelled its innovative and pioneering spirit, culminating in the launch at SIGEP 2019 of Oracle, a new product that can cook in just a few seconds, thanks to the combined technology of microwave and impingement. This type of plug and play technology does not require any type of installation, such as water inlets and outlets or extractor hoods. Commissary kitchens are a rapidly expanding market segment. Oracle makes the biggest difference for businesses that produce using central kitchens and the cook and chill technique to transport chilled products to their final destination point. Lainox can support these central kitchens as well, both for cooking and blast chilling, through two innovative products: Naboo and Neo. Another new product that was presented at SIGEP is NEO connected, i.e. the possibility of connecting a Lainox multi-purpose blast chiller to NABOOK, the Lainox Cloud system for managing devices remotely. Today, connectivity means you can monitor the operations of our NEO, via the Cloud, and get HACCP data and benefits from the remote service, with the possibility to remotely monitor and intervene, as necessary. You can also use NEO devices to solve any technical problems which may arise. This innovation means that Lainox is currently the only company in the world to offer a cook and chill system. It’s an integrated connectivity system to fully respond to the requirements of the Industry 4.0 plan. The Naboo Challenge area was by far the most popular part of our stand where the potential of the cook and chill system, affectionately called Just Duet by Lainox, was showcased every day. In the pastry making and baking challenges, we demonstrated how to lay out a pastry display case in just 20 minutes. In the restaurant challenges, we demonstrated how to serve an à la carte menu in just a few minutes. Both challenges showed those who were lucky enough to participate, how it is possible, in minimal space, to use just two machines to cut down on costs and rationalise and increase the productivity of a restaurant or a pastry shop naturally, without compromising quality in any way. SIGEP 2019 was also an opportunity for Lainox to present Naboo#@home, i.e. the possibility of installing a professional oven in 60x60 modules in household kitchens. 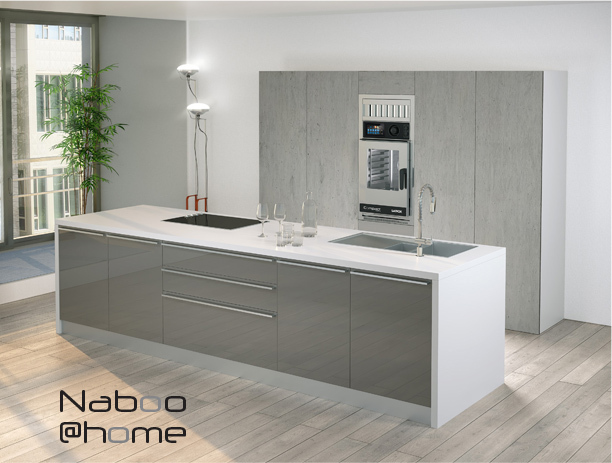 Thanks to the space-saving size of our Naboo Compact devices and the research of our engineers, we have developed a system that allows you to use a professional oven in a domestic kitchen, also integrating its condensation hood. 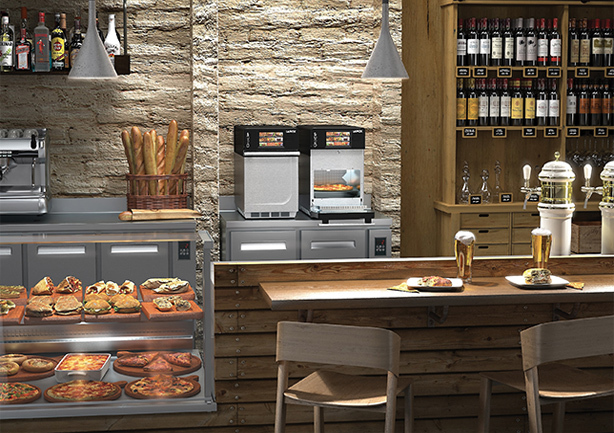 With this new product, Lainox aims to address new markets, namely semi-professional kitchens in locations, such as elderly homes, school cafeterias, or small B&Bs. Obviously, with Naboo@home, Lainox also gives cooking enthusiasts the opportunity to install a professional oven of Naboo’s calibre in their homes. We received numerous requests for this type of demand at SIGEP. For anyone who did not get the chance to find out about our new products at SIGEP, remember that you can find a list on our website of upcoming fairs in which we will be participating all over the world.